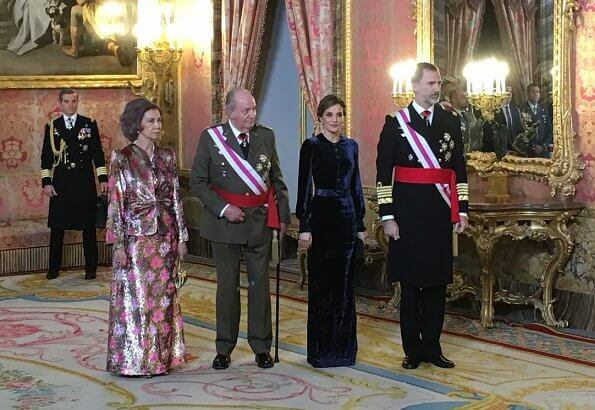 On January 6, 2018, King Felipe, Queen Letizia, King Juan Carlos and Queen Sofia of Spain attended Pascua Militar 2018 (New Year's Military Parade 2018) ceremony held at the Royal Palace in Madrid, Spain. Pascua Militar celebration is a traditional celebration held by Spanish Army on Epiphany day since 1782. 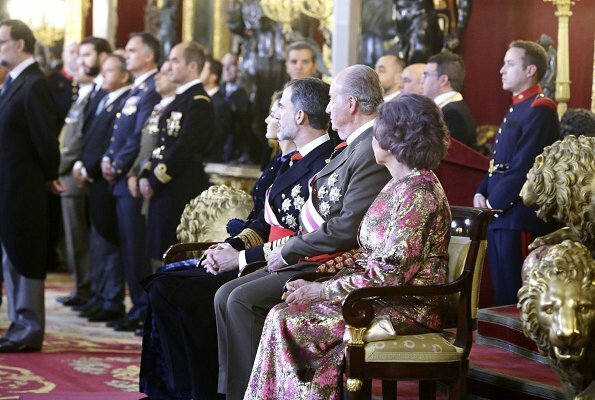 King Felipe leads the celebrations as the commander of Armed Forces. 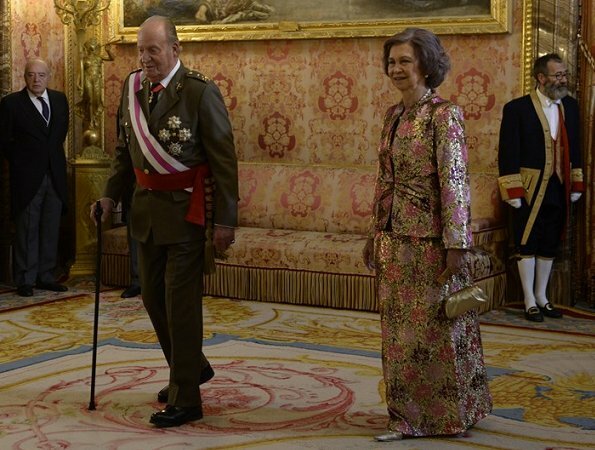 Royal ladies wear a long dress at Pascua Militar ceremony as a tradition. Love the hair on Leti, but that's it! Not my favourite dress. The combination of severe style and dark colour seems too sombre. 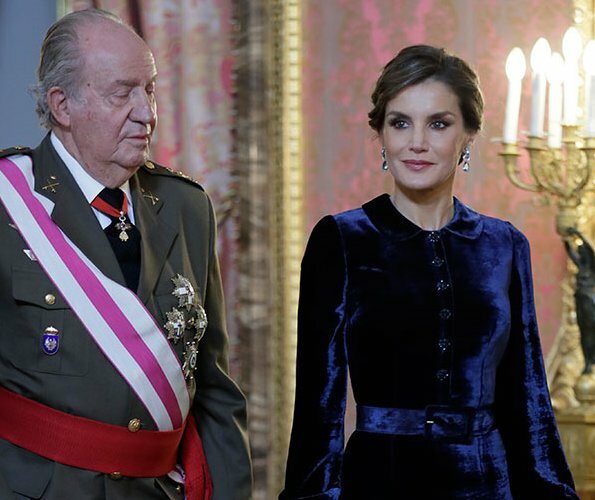 Letizia is impeccable. But why did Sofia wrap herself in gift paper? They look like caricatures of themselves. Se te ve mucho el plumero. Siempre comentarios hostiles y maliciosos. Always bullying and bullying. You throws the stone then hides your hands but is all too obvious. When are you're going to realize that this is not a political blog? It is disgraceful. 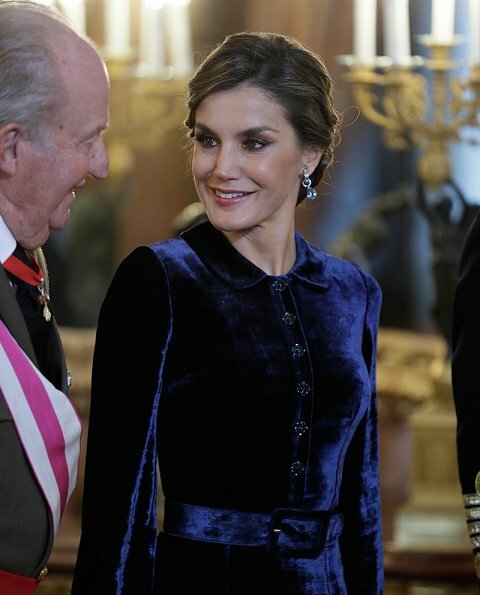 La Reina Letizia va vestida con sobriedad, como corresponde a un acto castrense, pero está muy bella y majestuosa. 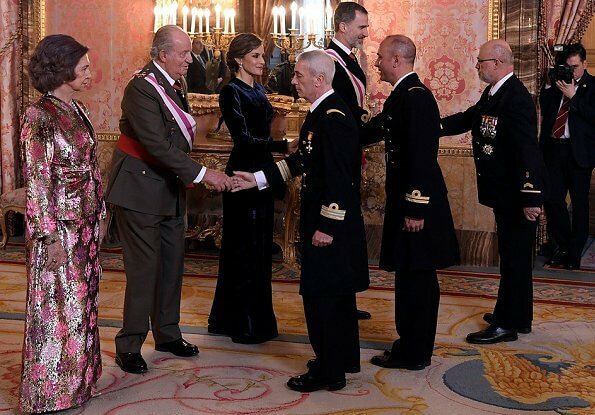 Dª Sofía lleva un traje demasiado brilloso, nada bonito, pero sus joyas son magníficas. I like the idea of two generations working together, it is a great team. With regard to fashion, I love Q. Letizia dress. I find it very appropriate considering that it’s a very formal ceremony. The best part, in my opinion, the straight silhouette, the collar and the fabric, blue velvet with an embroidered floral detail on the skirt, but this cannot be seen easily. The chignon is very beautiful and very well done. Q Sofia, looks good, original but too glossy. It would have been preferable to combine the jacket with a dress in a plain colour. 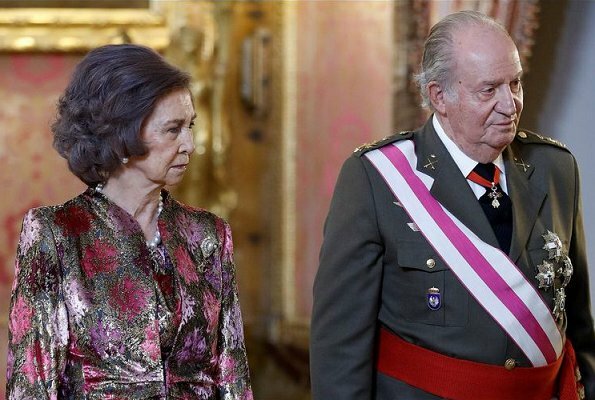 Aparte de los floripondios y los brillos, lo peor del traje de Dª Sofía es que oculta las perlas y el maravilloso rubí de la reina Federica, su madre.